Women made up roughly 30% of computer programmers well into the 1970s. Today, this number is lower. The 1980s—a time when women enrollment rates in computer science programs were at its lowest—represent a crucial period for the rise of computing gaming. Across the decade, images of the weird, brilliant, male computer hacker began to take hold of the media’s attention, showing up in storylines for major movies and popular accounts, but neglecting the important work of women in that process. We want to change this misrepresentation of women in the gaming industry by establishing their presence into the historical archives. 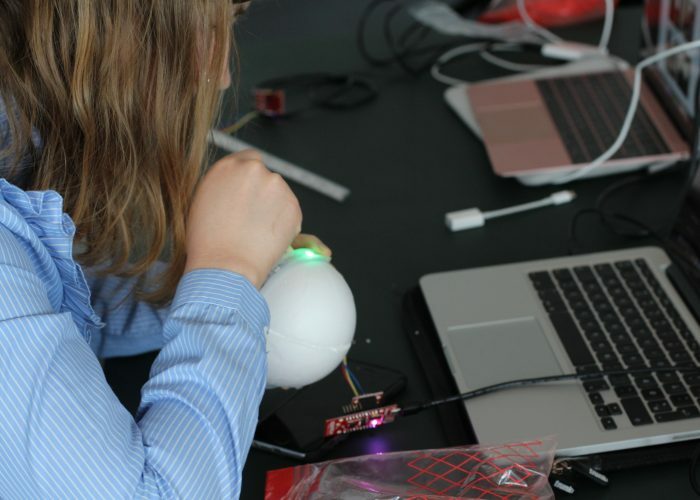 Atari Women is a research project which is part of FemTech.dk organised in collaboration between the Human Centred Computing (HCC) Section at University of Copenhagen, in Denmark and the Human Centred Design & Engineering (HCDE) Department at University of Washington, Seattle, USA. 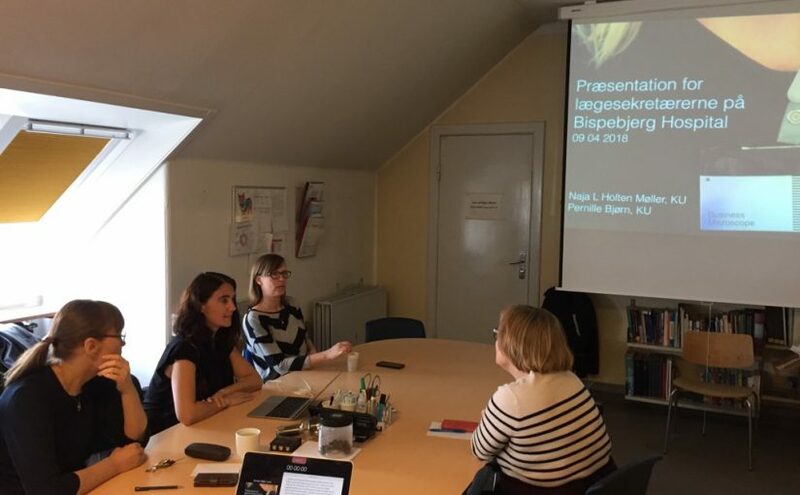 On Nov 13th, FemTech.dk participated in the meeting of Gender Diversity in IT Network. This is a biannual meeting, which this time was hosted by Dansk Industri. The day was filled with inspiring and insightful talks on working with gender diversity and creating societal change. The programme started with a presentation by Richard Larsen, from DI, who presented facts and figures about gender and STEM in Denmark. He also presented some of DI’s initiatives for increasing the number of women in management positions, such as a set of recommendations and best practices. We also got to know about more initiatives seeking to broad participation to IT development, such as Co-coders.dk. Also, Ulrik Kjeldgaard, from DELL EMC gave a presentation on the initiatives at his company to increase diversity in teams, such being part of the Men Advocating Real Change (MARC) framework, which is an initiative seeking to achieve workplace gender equality through effective partnership with men. The discussions were very aligned with what we are doing at FemTech.dk such as highlighting the importance of collaboration in programming (e.g. 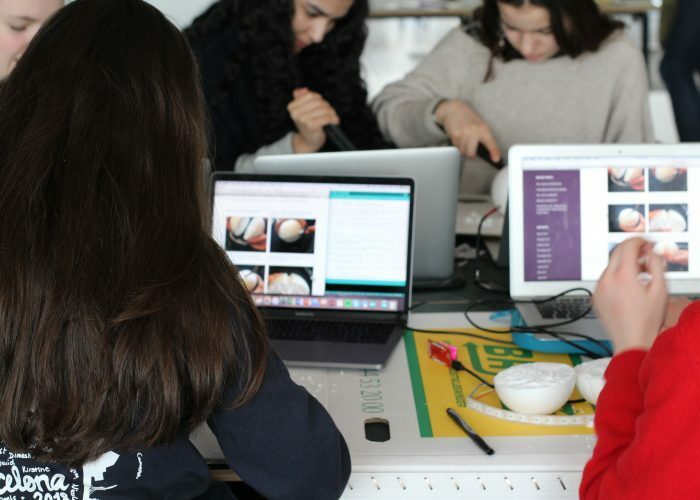 we use pair-programming in all our activities) and the relevance of Computer Science in society (our activities focus on developing creativity and critical thinking). It was a really interesting meeting and we are already looking forward to the next one in May 2019! On Sep, 28th the ‘Promote me’ campaign was launched. 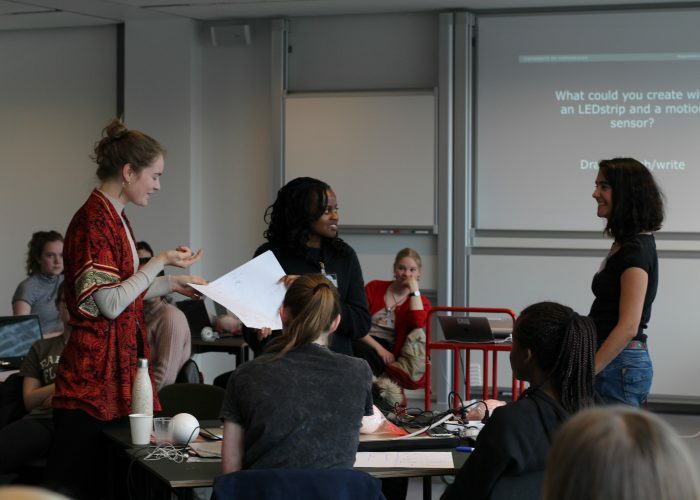 This campaign seeks to bridge the gender gap in Science and it has been created by Vanessa Hall, an associated professor at the University of Copenhagen. How can you support the campaign? Watch the video and go to the website: www.promoteme.co to sign the petition. In total, 500 supporting signatures are needed to reach the first milestone. 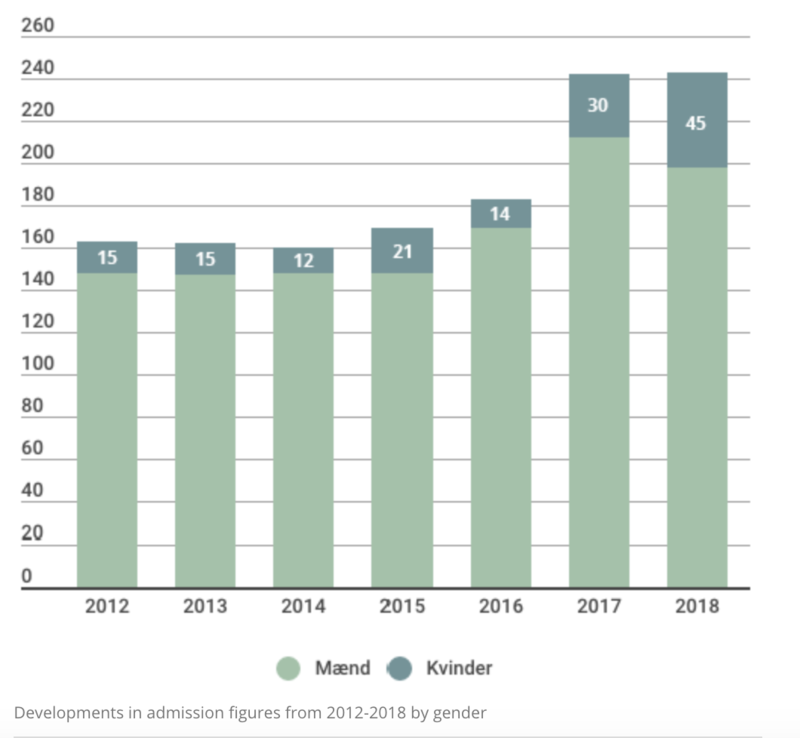 The petition is addressed to the major Danish funding bodies and asks for improved awareness of gender-biased decision making, Danish funding councils to be comprised of 50% women, greater visibility in gender distributions of grants in annual reports, and more anonymization in the grant review process. 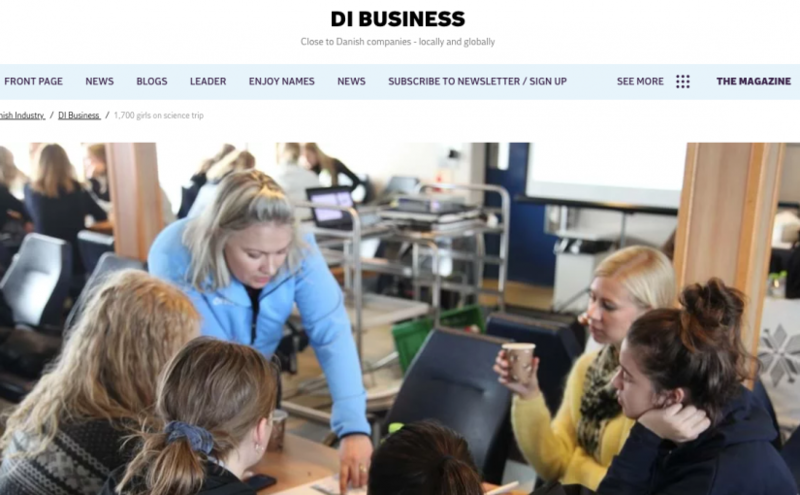 We are thrilled that our project has been featured on Dansk Industri news as one of the initiatives seeking to broaden participation of women and girls in STEM education. The piece of news highlights that DIKU is welcoming – for the second year in a row – a higher proportion of female students. 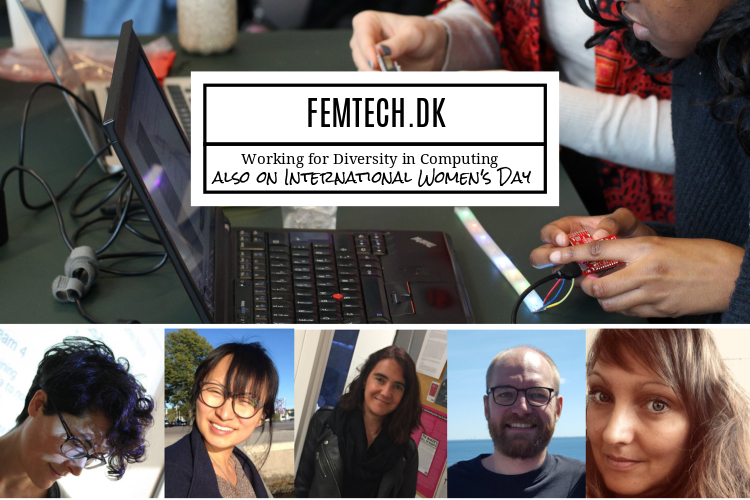 At FemTech.dk, we celebrate this small step towards increasing diversity in IT development and continue our efforts to address cultural and structural issues that hinder broad participation in computer science. More women choosing to study computer science at DIKU – Why does it matter? 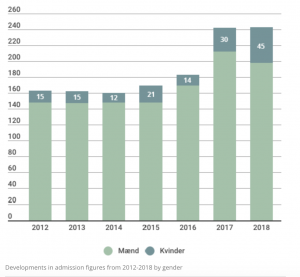 This year, the number of women choosing to study Computer Science education at the University of Copenhagen has risen to completely new heights. From 7% to 18% in only two years. 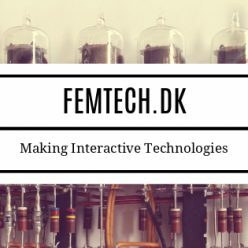 This fills us with joy because it is aligned with our efforts in FemTech.dk. But… Why is this an important piece of news? Nowadays, and more than ever, digital technologies play an important role in society. Statistics show that digital technologies are used by many but are developed by a few. This becomes especially relevant when looking at the number of women who participate in developing digital technologies. What are the issues related to this lack of diversity? A crucial issue is that it can limit what it is taken into consideration and what it is left out, therefore potentially constraining people rather than enabling them. 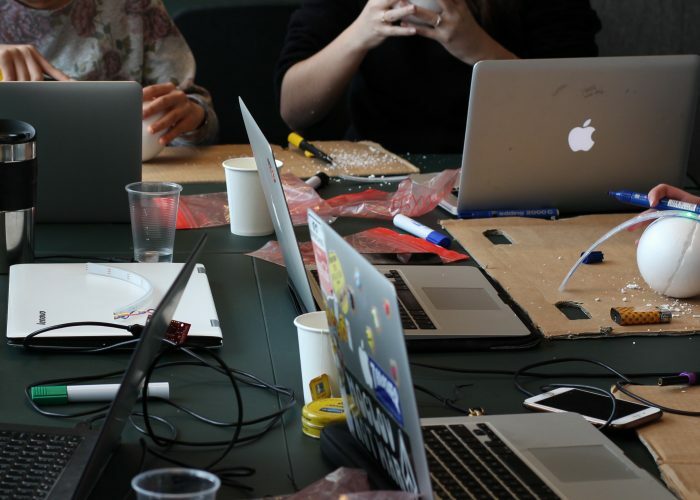 Companies are increasingly eager to bring in people with different backgrounds, experiences, and knowledge in developing digital technologies – this entails that there is indeed a diverse pool of people with the required skills and knowledge (which opens up the discussion of what are these “required” skills, we will leave this for another post). 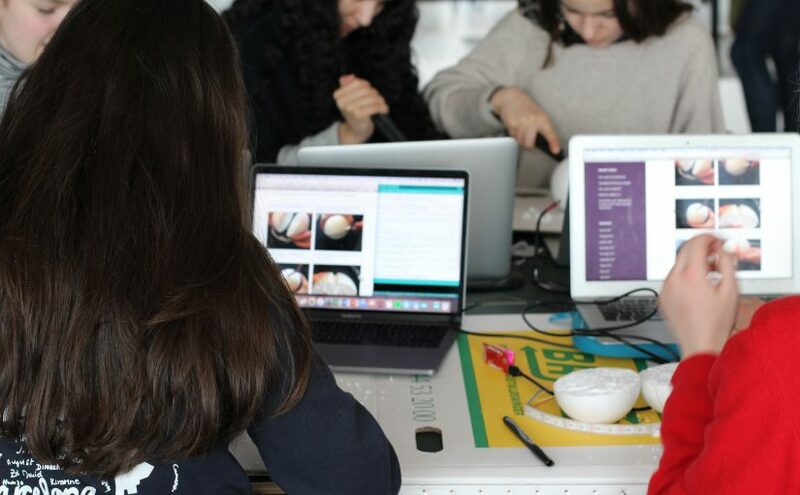 Engaging in activities that display different representations of computing, potentially increasing the interest of women (and not only) in computer science is one step towards broadening participation in technology development, and FemTech.dk and DIKU are taking this step forward. FemTech.dk researchers Naja L. Holten Møller and Pernille Bjørn study the role which new types of sensor data produce in the workplace to find ways to strengthen the agenda on diversity in use – Assistant professor Naja Holten Møller speaks about this in a new article in Interaction Design. The workplace has seen the dramatic growth of sensor technology to produce large datasets in and through peoples work. In tracking the movement of personnel within hospitals, it is the clerical work that (again) goes unnoticed in the overall picture. Clerical work is ubiquitous. It is carried out in practically any place where things need to be filed and processed. And, due to its routine and repetitive nature, clerical work is often undervalued and thus underrepresented. While data tracking in the workplace has received increased attention in research as well as industry interested in smart technologies, it is still an open question how exactly we adjust our research methods accordingly to understand the broader implications of sensor-based data production as a larger phenomenon affecting us all. Taking into account the lived experience of clerical workers and ethnographic inquiry combined with data mining formed the cornerstones of the triangulation tool applied in this work. As new hospitals are designed, it is critical that key parts of the workflow are not neglected due to the bias in whose work counts as valuable in data-driven healthcare. Read more about this fascinating and timely piece of work in the July edition of ACM’s IX Interactions magazine. 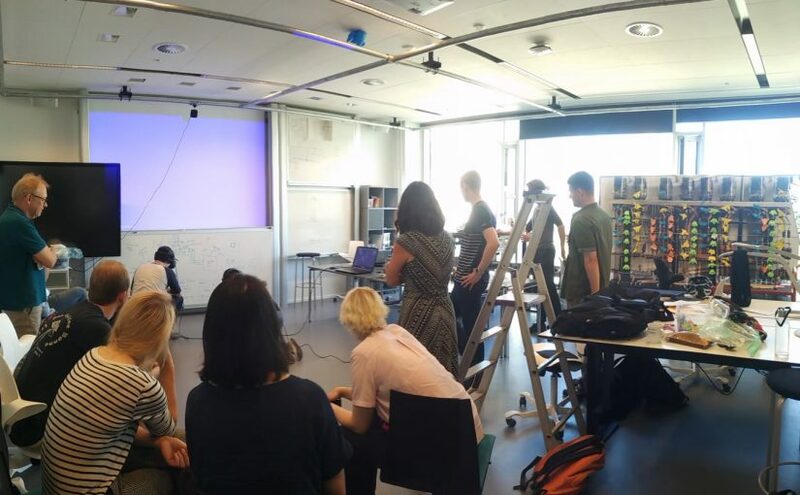 As part of FemTech.dk in-reach activities, on June 26th we organised a meeting with several computer science (DIKU) students at the UCPH Makerspace. In-reach activities are internal activities where mainly DIKU students and staff members are invited to participate, such as DIKU’s teaching day. The makerspace has been instrumental in creating a sociotechnical infrastructure for these internal activities. 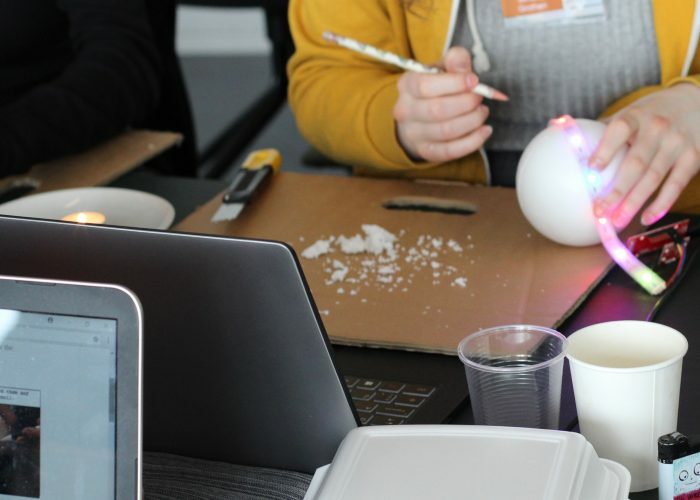 These activities seek to make DIKU more inclusive from within by, for example, supporting collaborations and activities related to computing that might be difficult to carry out as part of the traditional curriculum. 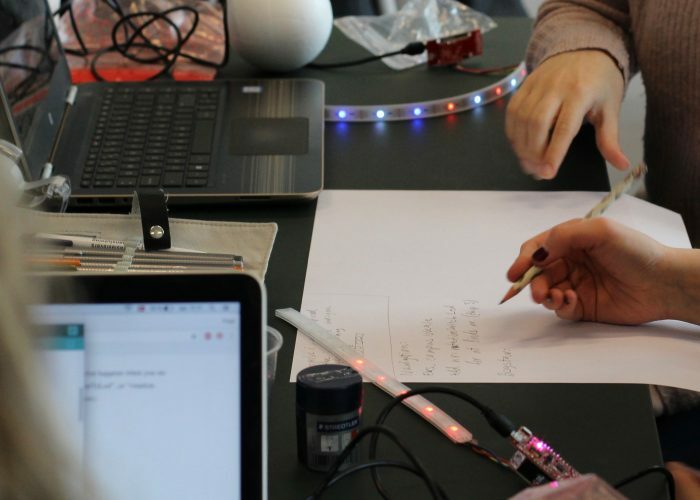 In concrete, two project proposals came out of the meeting: an art-installation focusing on collaborative motion interaction across spaces and a learning tool that demonstrates the insights of a CPU with LEDs, displays and microcontrollers. These projects exemplify opportunities for broadening narratives of computer science by supporting collaboration, emphasising materiality and storytelling. 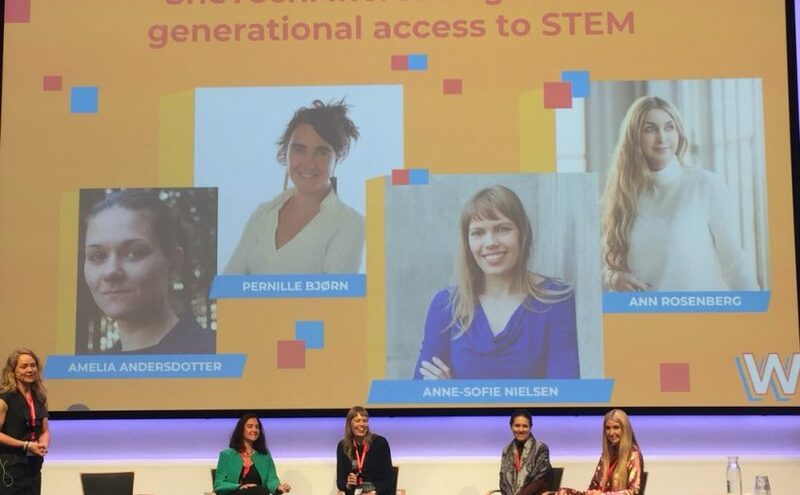 On May, 19th, Pernille Bjørn – FemTech.dk principal investigator – gave a presentation at the Wonder Tech Submit on how she became a computer scientist. She also talked about one of the projects at the Computer Science department of the University of Copenhagen, which is using virtual reality to help build super hospitals. This project, currently taking place in one of the hospitals in Copenhagen, is yet another example of how computer science intertwines with many other different disciplines such as healthcare and architecture. 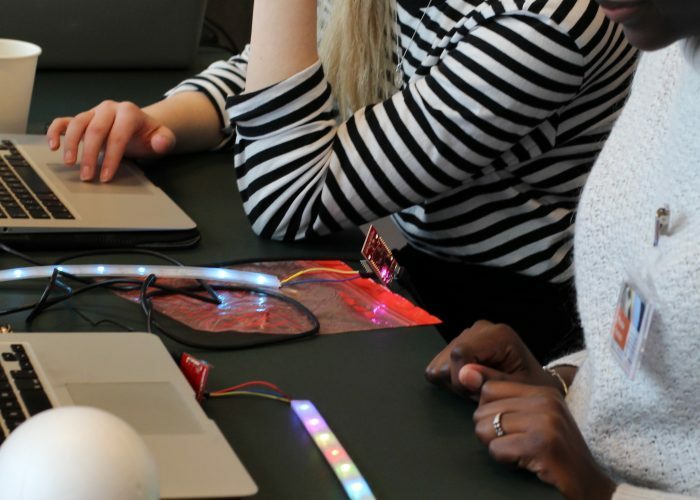 Wonder Tech Submit was the first event in Denmark of its kind, bringing together leaders, engineers and entrepreneurs to celebrate the achievement of women in technology.